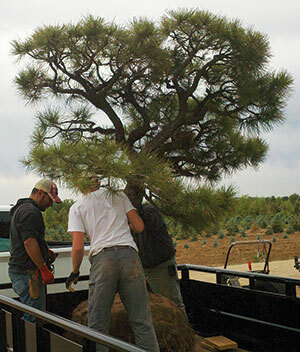 Offering Japanese gardens has been both profitable and fun for this Wyoming landscape company. 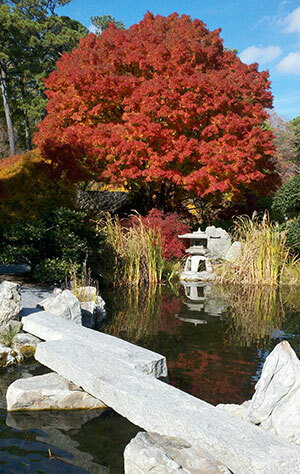 When Aaron Rodolph, president of Rodolph Brothers, based in Casper, Wyo., first started reading about Japanese garden design, he was amazed how much of the elements he’d already been incorporating into his projects. It’s all about natural flow and placing boulders in just the right way—design elements that Rodolph realized he was already trying to achieve. Since learning more about Japanese gardens, which typically include water, rocks, architectural elements and trees and shrubs, Rodolph has gone on to offer them specifically as a service. Photo caption: Rodolph Brothers incorporates asymmetry in its Japanese garden designs. Photo: Rodolph Brothers. Regardless of whether or not a client asks for a Japanese garden, Rodolph instinctively incorporates similar design elements into his projects, such as natural flow, simplicity and asymmetry, to make the project look more natural. But customers who know that Rodolph has studied Japanese gardens specifically ask for them on their landscapes. In those cases, Rodolph strictly adheres to all of the design principles of the art. “I want to ensure that I’m being true to the culture with the design,” he says. Rodolph acknowledges that Japanese gardens are very specific and may not have broad appeal. He doesn’t promote the service by itself much. Still, offering Japanese gardens has been a profitable service for Rodolph. It’s been an interesting offering that separates him from his competitors. And the clients who want a true Japanese garden appreciate the intense studying he’s done. “People definitely see value in our ability to create these gardens,” says Rodolph. “They’re also willing to pay for our time in finding the unique materials that go into them. Though Rodolph says it’s a lot of work, it’s also something he enjoys. “It may require searching from nursery to nursery to find the exact materials but that’s enjoyable and not something I usually get to do,” he says. Why Japanese gardens? “When I started reading about Japanese gardens I realized I was already using many of the principles,” says Aaron Rodolph, president of Rodolph Brothers.